These hot-ticket holiday items won't bust your budget. Overspending is as much a holiday tradition as caroling, fruitcake, and drunken dinnertime political rants. But you don’t have to break the bank when shopping for the tech lovers on your list. We’ve rounded up ten truly classy PC and mobile accessories that cost $50 or less. You’ll be sure to delight any gadget-lover, and still have money left over to buy something cool for yourself. High-end headphones can easily cost as much or more than the audio devices they’ll be connected to, but cheap ones typically sound—well, cheap. This stylish set from JVC ($39.95) is an exception, delivering warm, dynamic sound with deep bass and solid highs. The headphones’ diaphragm design, which uses carbon nanotubes, is (per JVC) stronger than plastic or metal versions, but also more flexible, to help reduce sound distortion. JVC HA-S400 headphones pack a punch at a modest price. Though not noise-cancelling, the headphones offer enough sound isolation that you can actually reduce the volume on your device in noisy environments. The soft ear pads make them comfortable to wear for hours at time. The nearly four-foot cord is thick and durable and attaches with an L-shaped plug, making it virtually impervious to snags on bike handles, gym equipment, and other hazards. The hinged headband lets you fold them flat for safer stowing. We tried them in black but they’re also available in white, and they’re a great option for music lovers who prefer on-ear cans. We never thought we’d write “budget buds” and “great sound” in the same sentence until we tried Shure’s $49 SE112 in-ear phones. They deliver meaty bass without booming, and a balanced sound that compares well with the quality of earphones at twice the price. Shure’s SE112 Sound Isolation Earphones deliver high-end sound in a comfortable fit. As the name boasts, these phones were designed to erase the sounds of the outside world. Key to this are the sound-isolating sleeves, which are included in small, medium, and large sizes for tailored comfort and the tight seal that’s critical for getting the best sound. They’re sturdy, too: Unlike most earbuds, which come with thread-thin wires, the SE112s have a thick rope of black cable that should keep the wiring secure even if you forget to put them back in their drawstring carrying pouch. The pursuit of productivity has most everyone jumping from device to device throughout the day. Who wouldn’t want one keyboard to rule them all? The $50 K480 is designed to work with all major operating systems—Windows, Mac OS, Chrome OS, iOS, and Android. You can pair up to three devices and switch among them with a twist of a dial. Logitech’s bluetooth multi-device keyboard K480 works with all major computers, mobile devices, and operating systems. The K480 is portable enough to fit in any bag that can carry a laptop or tablet, but big enough that your fingers feel comfortable and uncramped. Running the length of the keyboard above the function keys is a rubberized tray where you slot your smartphone or tablet (up to 10 inches). Once your mobile multi-tasker gets a taste of this QWERTY keyboard’s excellent travel and tactile feedback, they’ll wonder how they ever typed a text without it. As its name suggests—Bobine is French for “coil”—this $35 gooseneck sync cable coils into all kinds of configurations to prop up your iPhone. Whether you need a tripod to shoot a selfie, want to watch a video hands-free, or just like your phone one-touch accessible while you’re working on your laptop, the Bobine is just a few twists away from being your ideal dock. The Bobine iPhone Dock helps position your phone for productivity. Made from military-grade, nickel-plated steel, the flexible arm holds the weight of the iPhone well in both upright and horizontal positions, even when plugged into the USB port of a laptop. The only caveat is the user will almost certainly have to remove whatever case houses their device, as the Bobine website advises, to get it to dock securely. Currently available for iPhone 5, 5s, 5c, 6, and 6 Plus, the Bobine puts the “fun” in functional, no matter how you use it. The problem with most portable Bluetooth speakers is that the reduction in size comes with a sacrifice in sound. 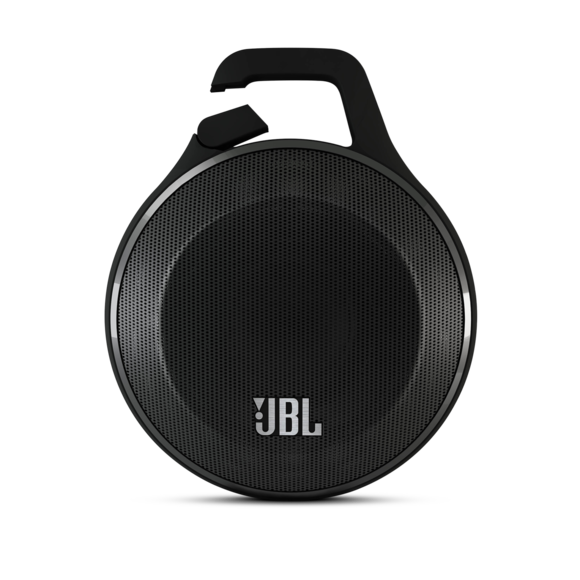 No so with the $35 JBL Clip. This puck-sized speaker delivers ample loudness and bass—with little distortion except at the upper volume limit—while still fitting in the palm of your hand. The Clip lives up to JBL’s reputation for exceptional sound. The Clip can be used wirelessly or connected via its 3.5mm audio cable, which can be snapped securely underneath the speaker when not in use. There’s also a built-in microphone, so you can answer calls without having to disconnecting the speaker. The carabiner hook at the top lets you easily fasten the Clip to belts, backpacks, and other items. The clip comes in five colors: black, blue, grey, red, or purple. For the outdoorsy music lover, consider a more rugged wireless speaker like the $50 Shoqbox Mini. This seven-ounce speaker is tough enough to hold its own off-road. It’s IPX6 rated for water resistance, so it’s safe even if your hiking or biking expedition encounters a rain shower. It even floats. Philips Shoqbox Mini is a rugged wireless speaker for outdoor lovers. The Shoqbox Mini streams music wirelessly via Bluetooth or you can wire it your device via its auxillary port. No matter whether it’s playing rock, jazz, hip-hop, or classical, the speaker delivers clear, balanced sound even at extreme volumes, thanks to an anti-clipping feature that prevents distortion. With a rechargeable battery that lasts about five hours, it can keep up for the duration of most outdoor adventures. Admittedly, giving someone a USB drive is bit like giving them socks or a necktie, but hear us out. SanDisk’s $25 Ultrafit USB 3.0 Flash Drive packs 64GB into a USB 3.0 flash drive. Both the size—the Ultrafit protrudes only about 8mm when plugged in—and the speed make this drive ideal for connecting to TVs and car stereo systems. It also comes with SanDisk SecureAccess, which protects files with 128-bit AES encryption. A great gift for the music or movie buff in your life, it can be made more personal by preloading it with their favorite media. SanDisk’s 64GB UltraFit USB 3.0 flash drive is a great option for the movie or music lover on your list. It’s hard to imagine Google could have improved on the original Chromecast streaming device, but it did—and it still costs just $35. The most significant upgrade is practical: The new version’s design, a flat disc on a flexible HDMI cable, makes it a lot easier to squeeze into tight TV setups than the previous USB-stick style. Dual-band (2.4GHz/5GHz) Wi-Fi support and a tri-antenna system makes for noticeably stronger connections and faster speeds. Finally, a revamped Chromecast app makes it a lot easier to find things to watch. 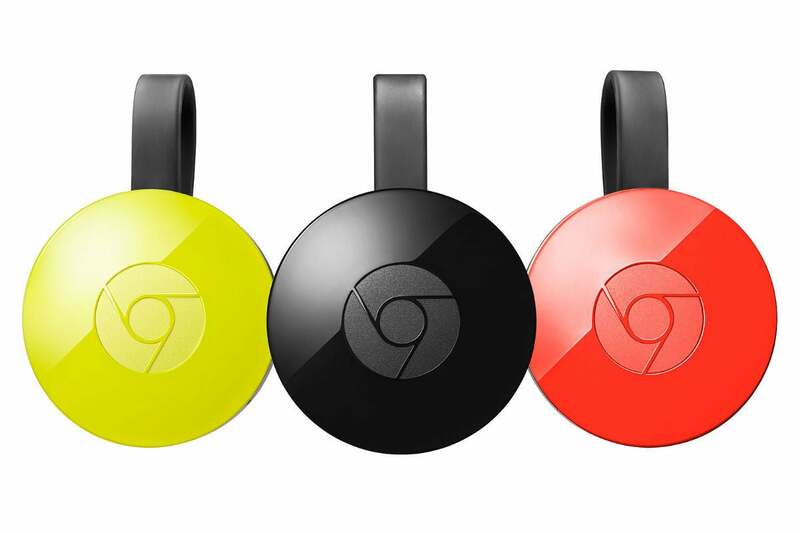 The new and improved Chromecast is a perfect gift for streaming newbies. But Chromecast’s strongest selling points remain: You can set it up in minutes, and it costs a fraction of set-top streamers like Roku and Apple TV. Activity trackers continue to be one of the most in-demand gifts this holiday season, but most run well north of $100. Jawbone’s $50 UpMove, however, is a solid, affordable option. The UpMove has many of the same features as Jawbone’s higher-end activity trackers. This entry-level tracker offers most of the same features as Jawbone’s upper-tier models, tracking steps, sleep, calories burned, and dietary data. About the size of a quarter, it snaps into a silicone clip that fastens securely on your belt or pocket. You switch between activity and sleep modes by pushing the device face—actually a big button. Jawbone’s excellent Up app syncs the users’ inputs to their mobile device and analyzes them to guide them toward their fitness, nutrition, and recovery goals. Unlike most other trackers, which need to be recharged every few days, the UpMove runs on one coin-cell battery that promises months-long life. With its balance of cost and performance, the UpMove is a good call for any fitness-minded friend or family member.